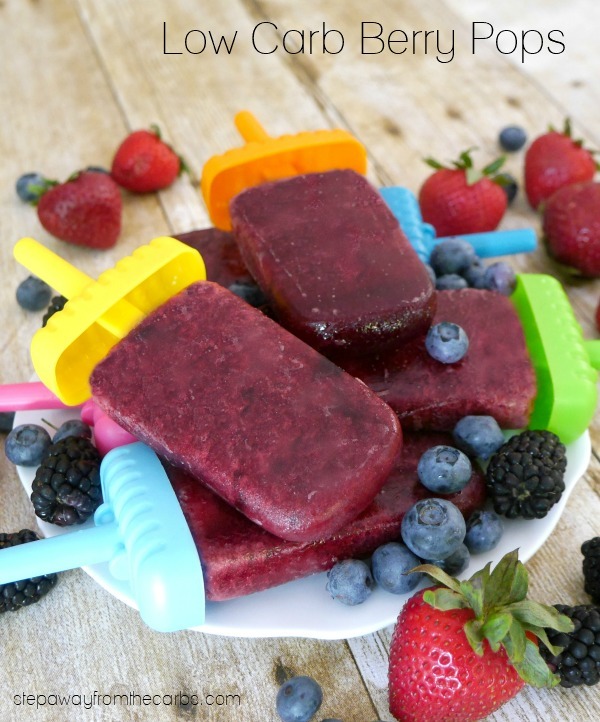 These berry pops are perfect for the summer! They’re made from a combination of blackberries, strawberries, and blueberries, and are low carb and sugar free! Although I’m a huge fan of ice cream – on a hot day there’s nothing quite like enjoying a popsicle! The combination of the three different berries in this recipe works really well – but of course if you only have one or two of the different berries – it would still be wonderfully refreshing! Oh – and these are great for kids too! 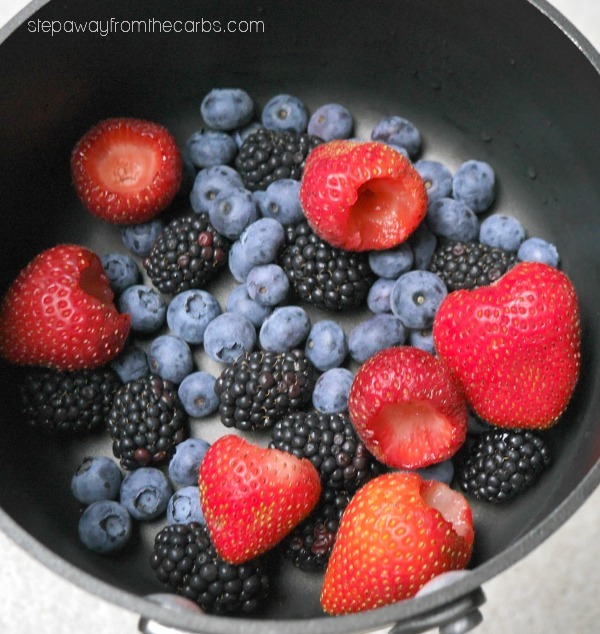 To prepare the base for the berry pops, add some blackberries, blueberries, and hulled strawberries to a pan. 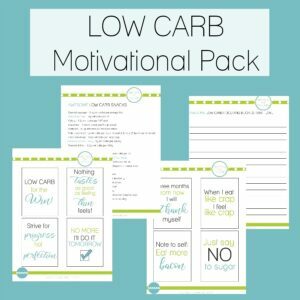 Add some water and low carb sweetener (eg xylitol or Swerve). Bring the mixture to the boil, then reduce to a simmer until the fruit is mushy. Note: You could skip this stage, but I prefer the flavor of the fruit after the light stewing, and has the added benefit that the sweetener dissolves into the water. Let cool for 5 minutes, then pour everything into a blender (I love my Ninja!!). Add a tiny amount of xanthan gum – this will help the fruit mixture not to separate, and also keep the berry pops from being completely rock-hard ice blocks once they come out of the freezer. 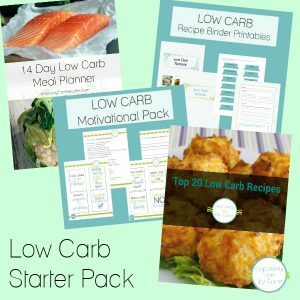 I’ve actually written a whole post about all the ways to make soft low carb ice cream – check it out! Blend until smooth, then transfer everything to some pop molds. 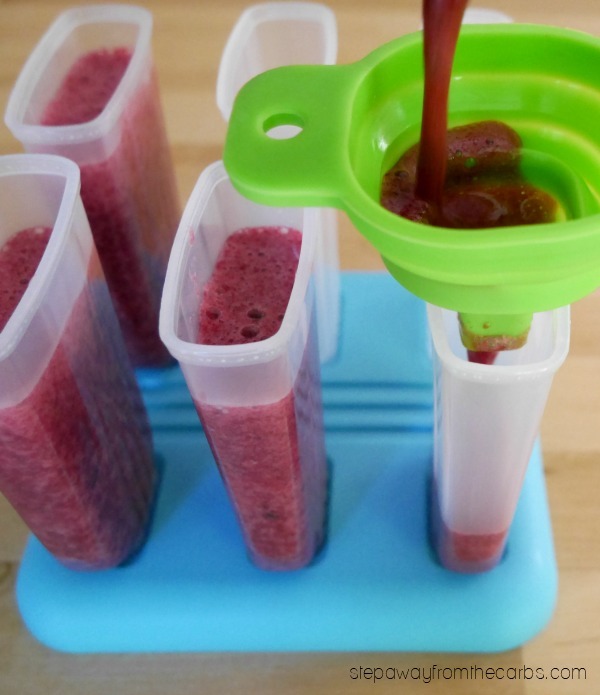 This recipe makes about 2¼ cups of liquid, which was a perfect fit for my new ice pop molds! There are six in the set, and each have a capacity of about seven tablespoons (or 3.5oz). Place them in the freezer until frozen! 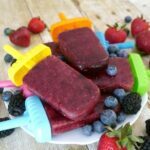 These berry pops are perfect for enjoying on a hot day – and the rest of the family will love them too! 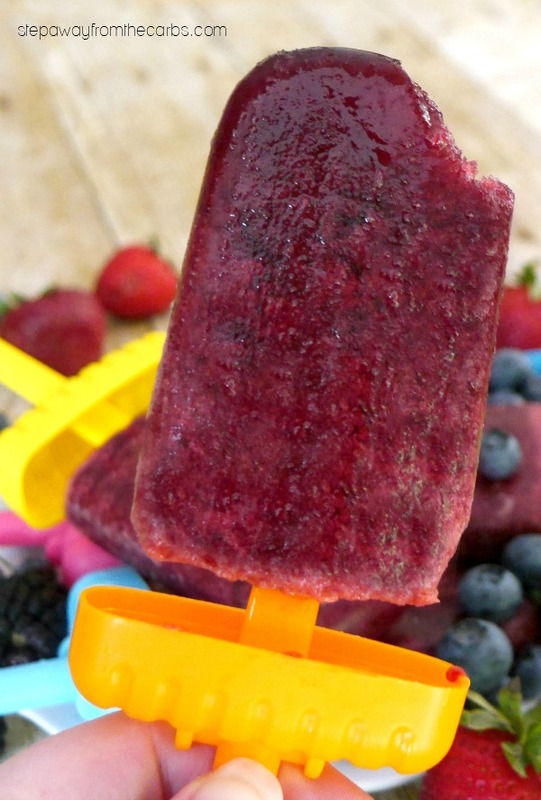 These summery berry pops are perfect for a hot day! 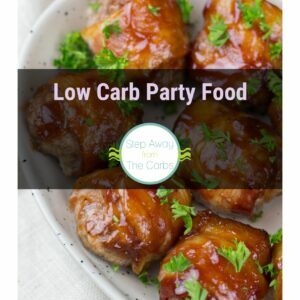 Low carb and sugar free recipe. 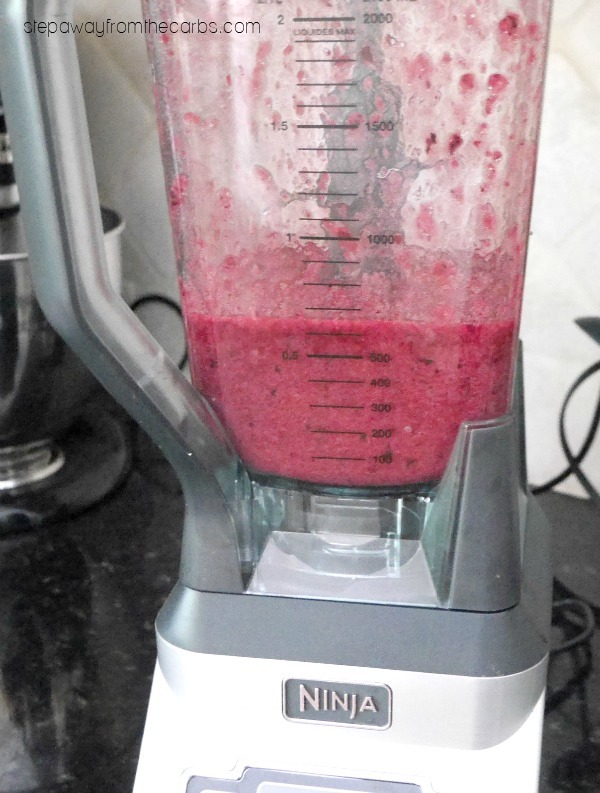 Add the blackberries, blueberries, and strawberries, water and sweetener to a saucepan. Bring the mixture to the boil, then reduce to a simmer until the fruit is mushy. Blend until smooth, then transfer everything to si. pop molds. 3g net carbs per pop. This recipe makes about 2¼ cups of liquid, which makes 6 x 3.5oz capacity pops.